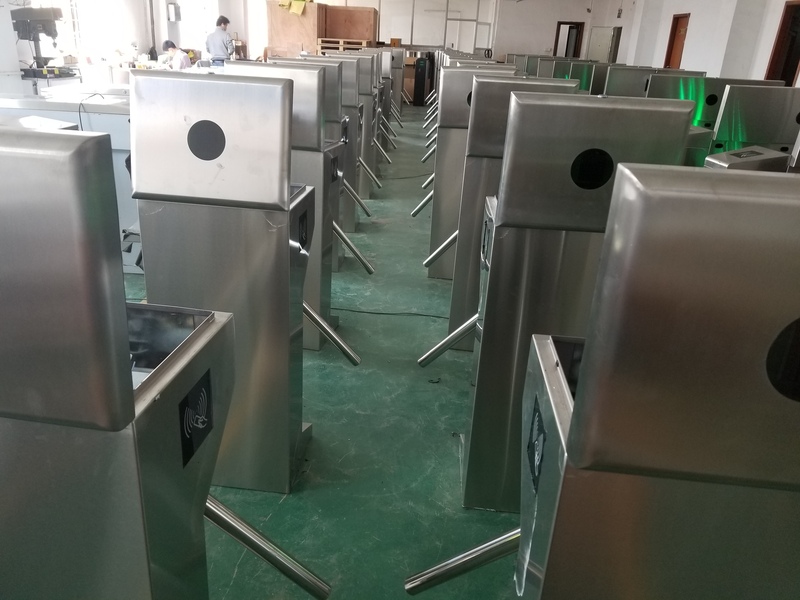 Thank you very much for purchasing Access Control Tripod Turnstiles series products developed and produced by RS Security Co., Ltd. 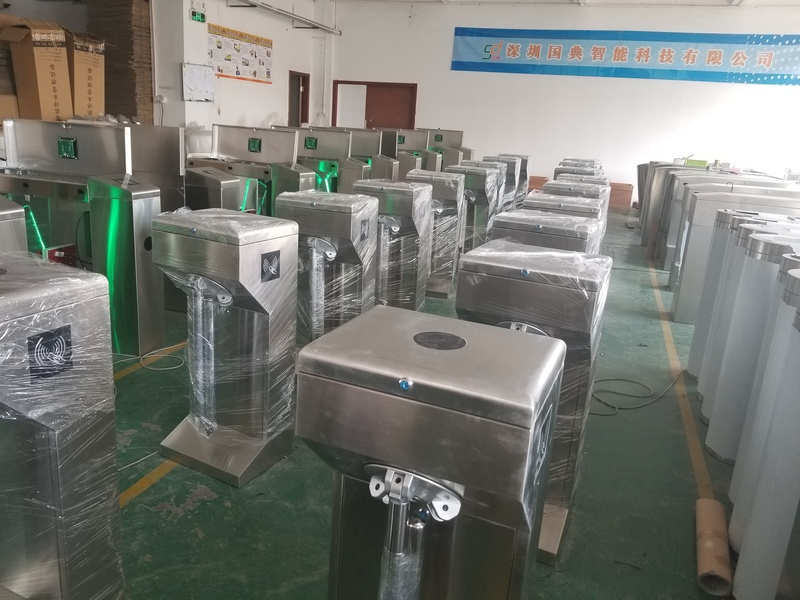 This series of Security Turnstile products use our company's unique technology, and the device uses a standard electrical interface externally, which can be easily integrated with read/write devices such as magnetic cards, barcode cards, ID cards, and IC cards, and can be widely used in hotels, factories and mines. Communities, clubs, clubs, enterprises and institutions need to implement intelligent management of the channel. 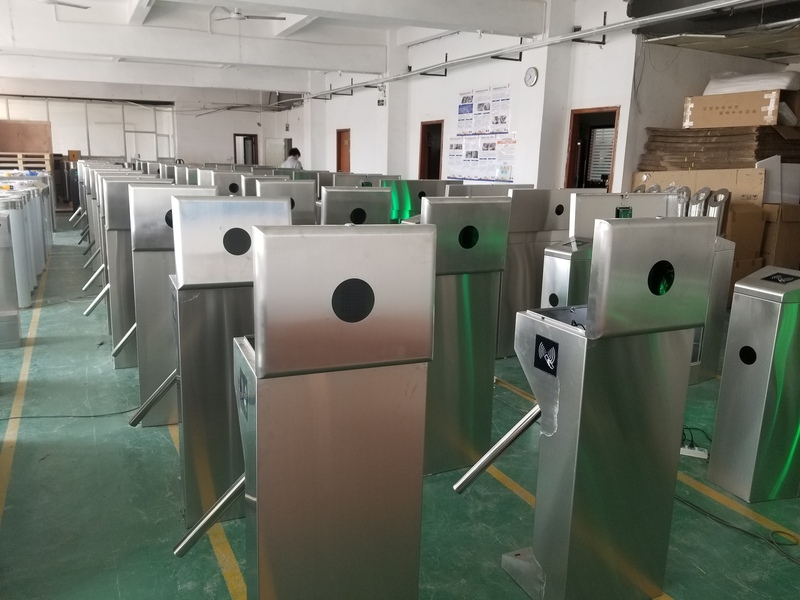 The Access Control Tripod Turnstiles that you purchased are developed and produced in accordance with the requirements of the quality management system. They are products that have passed strict and careful inspection. This product is a technically powerful device. In order to ensure its safe and reliable operation, in this manual, special attention has been given to the matters that should be taken care of during the operation of the system. Please use the selected product. Before you read this manual carefully, you will not damage your rights due to improper operation. At the same time, we also hope that in the process of using our products, we can provide better suggestions for us and we will provide you with professional and all-round services. Finally, thank you again for using the products that our company has carefully manufactured for you, and hope that we can have more opportunities to provide services for you! Dual Core Vertical Tripod Turnstiles is an intelligent channel management device developed and produced by our company after many years of development. The device integrates mechanical, electronic, microprocessor control and various reading and writing technologies organically. Through the configuration of a variety of different reading and writing equipment, the use of reliable performance safety protection devices and real-time alarm system and direction indication interface, jointly coordinate the realization of intelligent control and management of the channel. The shape of the equipment is stamped and formed with stainless steel plate, which is beautiful in appearance, rustproof, and durable. It also uses standard electrical interfaces for external use. It can easily integrate card readers such as barcode cards, ID cards, and IC cards on the device to provide access to personnel. A civilized and orderly way of passing can also eliminate the entry of illegal personnel. In addition, the system has also specially designed functions to meet the requirements of fire protection. In the event of an emergency, the passage will be unobstructed and the evacuation will be facilitated. 1) A unique incomplete gear transmission system is used to make the Gate lock and unlock in the zero position more accurate and reliable. 2) The entire system runs smoothly, with little noise and no mechanical impact. 3) With incoming call self-test function, automatic recovery is in lock state. 4) There are multiple working modes to choose from, you can read cards in both directions, and you can read cards and disable them in the other direction. You can read the cards while you are in the other direction. The working mode of the gate can be set through the menu on the motherboard. set. 5) With power off the lever, manual power up function. 6) With 485 remote control lever, lever function to meet the special needs of users and fire safety requirements. 7) It has a unified and standard external electrical interface, which can be connected with various reading and writing equipments to facilitate system integration and realize remote control and management through the management computer. 8) It can automatically count the number of people in the direction of travel, and presents them to the managers with an intuitive LED (optional) so that managers can know the number of people in a certain direction. 9) Have a clear traffic direction indication function, with an intuitive LED passer indicating whether it is acceptable or not. 10) With reading cassette memory and no memory function, and the user can set according to their own needs through the motherboard keyboard. 11) Through software settings, the total number of people within the site can be limited to meet the special needs of some special occasions. 12) With automatic reset function. After the card is read, if the passer does not pass within the prescribed time, the system will automatically cancel the current pass of the passer, and the limited travel time can be set by the management staff. The electronic control system consists of a card reader, a main control board, a direction indicator, a limit switch and a transformer. 1) Turn on the power and the system will enter the working state after 3 seconds. 5) If the pedestrian forgets to read the card or read the invalid card to enter the channel, the system will prohibit pedestrians from accessing the card and re-read the valid card to allow access. 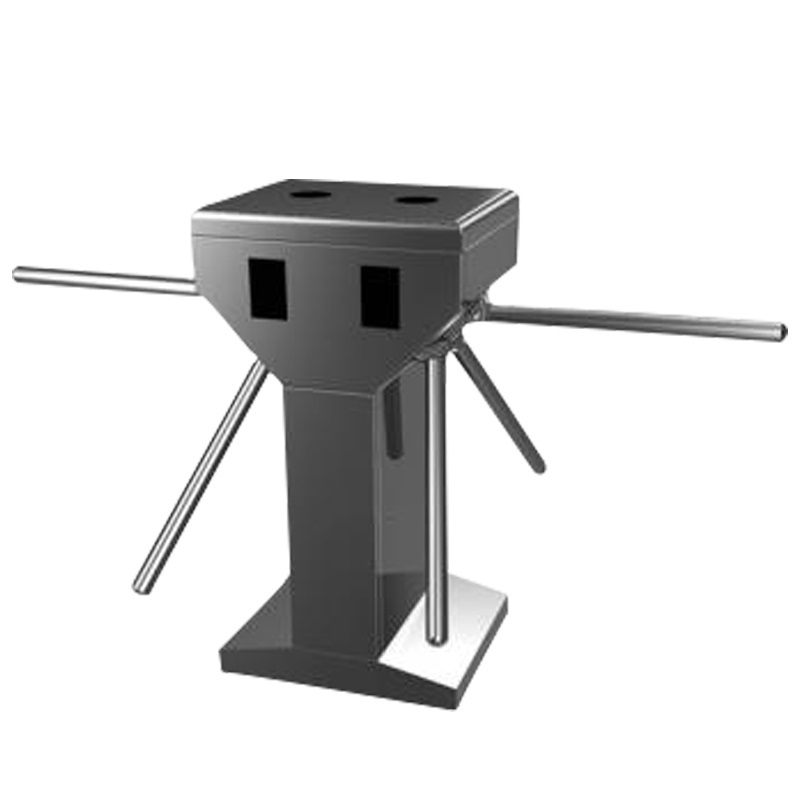 Looking for ideal Vertical Tripod Turnstiles Manufacturer & supplier ? We have a wide selection at great prices to help you get creative. All the Vertical Tripod Barrier are quality guaranteed. 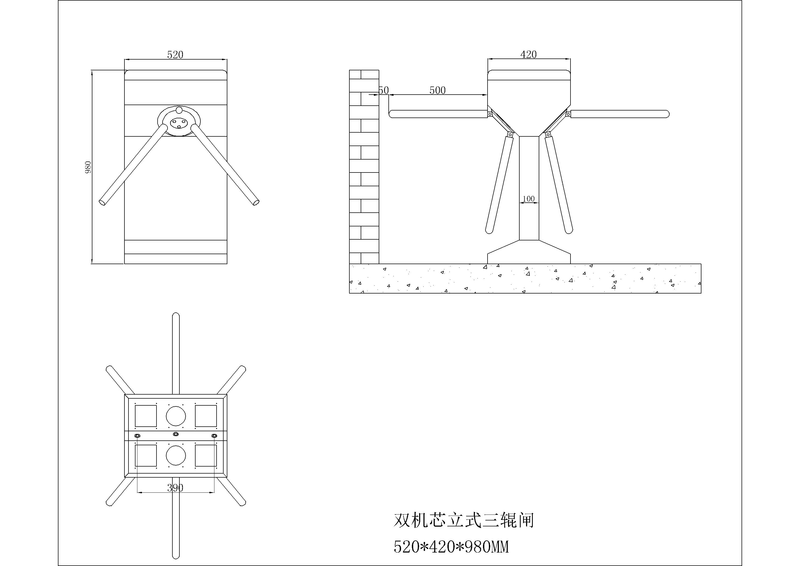 We are China Origin Factory of Vertical Tripod Gate. If you have any question, please feel free to contact us.